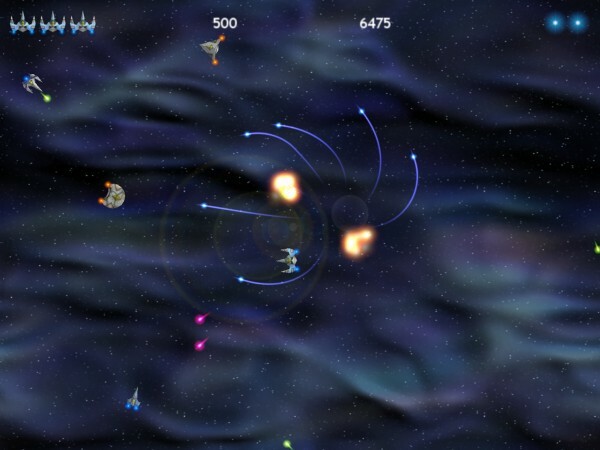 Gunstorm is a single screen space shooter with bags of playability. Level after level of alien craft attack your ship, and every so often you face various end of level motherships and other special levels. Use the mouse to control your ship at the speed of thought, or use the keyboard or a joy controller and set your own difficulty level using the Game Options. A lot of work has gone into perfectly balancing the gameplay to make a progressive game that never becomes impossible. Every game is different, and Gunstorm features over fifty unique enemies, master enemies and motherships. There are three different game types on offer too, including a variation of the classic game Asteroids. GameXtasy (Review Extract): "The gameplay in Gunstorm is pitch perfect. Poorly calculated thrust and overly sensitive ship rotation have ruined more than one Asteroids clone, but that's not the case here; the ship mechanics are spot on..."
Gunstorm was last updated in 2015. You can buy this game to download and play using the Digital River link below. Please download and try the demo version first to ensure that it will work on your computer.